Community Events in Appleton this week. Enjoy! As we celebrate Thanksgiving and the official start to the Christmas Holiday Season, we have listed some upcoming events this week. 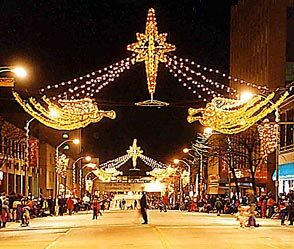 Today: Appleton Christmas Parade! The largest nighttime parade in the Midwest with approximately 80,000 people attending! The Parade will begin at 6:55 p.m. at the corner of State St. and College Ave. It will head east on College Ave. to Drew St. To see the route of the parade, click Parade Route. Before the Parade – Santa Scamper Run! Race Start: 6:40 p.m. at corner of State Street & College Avenue. The 1-mile run starts about 1/2 hour prior to the 47th Annual Downtown Appleton Christmas Parade and proceeds down College to Drew St., finishing at City Park. No roller blades. No pets please. For more information click here Santa Scamper. Thursday: Turkey Trot & Happy Thanksgiving! This year’s Appleton Turkey Trot starts at 8am w ith a 5-mile run, 2-mile walk, and dog jog. The trot starts at the Radisson Paper Valley Hotel downtown Appleton. After, the turkey trot, we wish everybody a fun-filled day with family and friends! If you are one of the estimated 51 million traveling for the Holiday ~ Very Safe Travels! 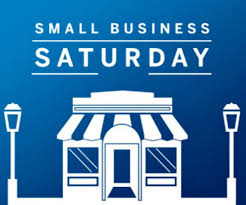 Saturday: Small Business Saturday ® ~ A day to celebrate and support small businesses and al l they do for the community. Please support our local small businesses! Last year an estimated 112 million people shopped locally with small businesses generating $15.4 billion! For more information click here Small Business Saturday. Week of Nov. 27 – National Tax Security Awareness Week: The IRS is partnering with state tax agencies, the tax industry and groups across the country to host the second annual National Tax Security Awareness Week. The goal is to encourage all taxpayers to take steps to protect their tax data and identities. With the number of data breaches at record levels, these are issues that pose a threat to individuals and businesses. This event is part of the ongoing collaborative effort to combat tax-related identity theft. Throughout the week, we will offer simple steps you can take to protect yourself from cybercriminals on our Facebook page and this blog. Thank you for reading our blog! 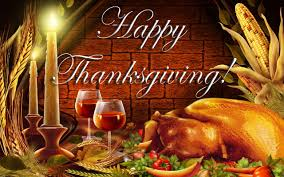 Have a Very Happy Thanksgiving Holiday!! This entry was posted in Blog on November 21, 2017 by c06675329.